Staying motivated is key because you will face a lot of challenges on the way, how you overcome them is what will determine your success. Princess Sikhanyiso has taken her singing talent to a new level. On Thursday, the quality of her performance received a standing ovation for a song she composed in honour of His Majesty the King. The video of the song titled ‘Hail Your Majesty’ was played at a ceremony to confer the King with an Honorary Doctorate at the university hall. Midway through the song, she goes into a rap and this is when the hundreds gathered in the main hall to witness the ceremony rose to their feet, waved the miniature Swazi flags, clapped their hands and were deafening in their applause. His Majesty the King and Inkhosikati LaMbikiza were beaming with pride at the end of the expertly choreographed video display. The video was award winning. It featured her adorned in fashion designed by the university’s fashion students. Known as the ‘Royal Rapper’ on campus, she is said to have worked on the video for over a month together with the Limkokwing Sound and Music Academy. After the song, His Majesty and president of the university, Tan Sri Dato’ Sri Paduka Lim Kok Wing rose to congratulate her while her mother, hugged and kissed her. The university announced that the talented princess personally wrote the lyrics and composed the melody of the song. A special launch of the song is to be organised by the university and the music video will be uploaded on the Limkokwing global online network. In his acceptance speech, His Majesty applauded the university for affording Princess Sikhanyiso the opportunity to join the university. “She has been accepted as your daughter and you have taken good care of her, making sure she is getting the right exposure. This is an extension of the good relationship we have with the university. We commend you all for what she has described as a highly beneficial experience. She has expanded her knowledge and says she is able to view things in a new light,” he said. Princess Sikhanyiso described the experience as extra-ordinary. “I am having the time of my life with the university and dedicated staff who I have been working with for the past two months. This experience has been a breath of fresh air and I am looking forward to the opportunities that I have yet to see and experience here. “I give thanks to Tan Sri Lim Kok Wing for the friendly hospitality and for sharing this beautiful setting with me. I am always proud to tell my family and friends back home about how this place is like creativity wise with its creative energy and hardworking young creative students,” she said of her time at Limkokwing. 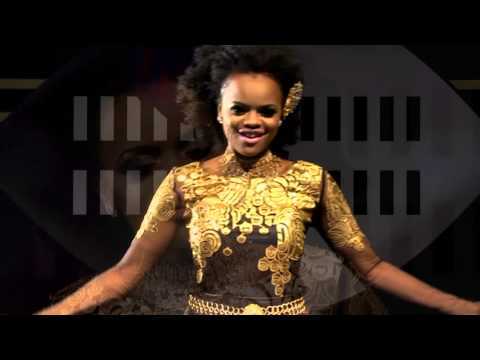 She said she looks forward to the video being featured on Swazi TV and all over Africa.